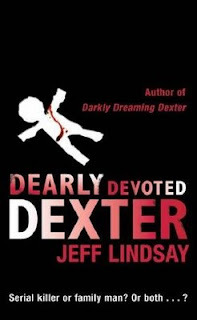 This is the second book in the Dexter series, but admittedly, the story is quite lame compared to the first one. The main plot concerns, of course, a serial killer, and Dexter Morgan finds himself once more confronted with worthy competition. Dr. Danco, as the serial killer is called, is actually connected with Sgt. Doakes, in his stint during the Civil War in El Salvador. The Doctor's slice-and-dice method is pretty gruesome, but where it fails is the characterization of the Doctor. There was no shortage in characterization with the other characters, but the main antagonist himself was not fully fleshed out (pun not intended). Jeff Lindsay, on the other hand, still entertains me with his writing style, which is comparable to a male version of Helen Fielding, author of Bridget Jones's Diary. Dexter Morgan's humor is, strangely, quite a contrast from his murderous personality, and what Lindsay does is to actually blend humor and murder into one solid believable character. The Jekyll-and-Hyde angle between Dexter and his Dark Passenger (which is what he calls his bloodthirsty inner voice) was fully realized in the book, yet this angle was not even attempted in the TV series. This is not a book about serial killers. This is a detective story, in the same line as Sherlock Holmes, but the detective just happens to be a serial killer. And like any detective book, you'd have to read it for yourself, because the surprise is everything. Rating: Three and a half stars.